Guest Post: Are You a Brain Builder? Are you a brain builder? Do you have a young baby/child at your house? If so, you have the opportunity to help build that baby’s brain so that they are ready to learn when they get to kindergarten! Research shows us that the first 1,000 days of life (birth to age 3) is the most rapid period of brain growth. Every SECOND there are more than one MILLION nerve connections being made within the brain. For healthy brain development, those connections need to be great ones – Ones that help a child see, hear, learn to talk, learn to be sociable and learn to control their emotions. The adults and older children in the child’s life help make those healthy connections happen! This is why health care providers give families a book and a prescription to read during every well baby visit from the first week of life through age 5! Every time we talk, sing, read and cuddle our babies and young children, healthy connections are being made in their brains. The more people talk, read, sing to their children, the more words those children are learning, even before they can speak. A fascinating research project had six-month-old babies look at pictures, and researchers watched the babies respond to hearing the word that went with the picture – such as bird, ball, and apple. Amazingly, babies who live with talkative families were more likely to look at the picture that went with the word, compared to babies who live with quiet families. 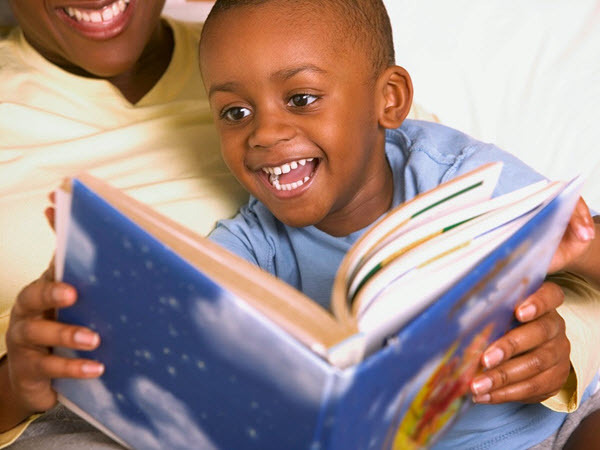 As babies approach age 3 to 4, their vocabularies grow and grow if they are in talkative families who read to them frequently. When children know more words, it’s easier for them to learn new words. When children know more words, they are more prepared for learning new things in kindergarten. Children living in homes where people don’t talk/read/sing a lot to their babies have about 400 fewer words in their vocabulary at age 4. This gap in the number of words that they know makes kindergarten much harder for them, and it may be very difficult for them to ever catch up to the other children, or to be good readers by third grade. In third grade, kids are expected to be reading well, and learning new things depends on their ability to be good readers! 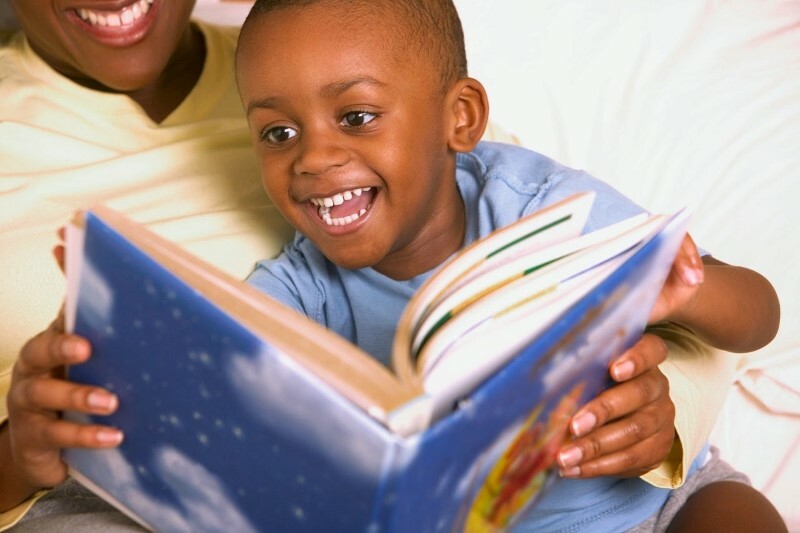 Using TV or phone apps or tablet programs that claim to be educational is NOT a substitute for the one-to-one interaction between a baby or young child and another person during reading/talking/singing. Research shows that babies and children although fascinated by what they see on a screen, do NOT learn from programs on screens. So, be a brain builder! Talk constantly to your little one – while you’re dressing, feeding, diapering them. Read to them every day – this builds their vocabulary. Sing and cuddle them. All of this nurturing builds healthy brain connections, millions per second in the first 1,000 days of life! Health Partnership is a clinic partner of Reach Out and Read Kansas City. On behalf of our young patients and their families, thank you for donating culturally and developmentally appropriate books. It’s making a difference in so many lives! https://hpcks.org/wp-content/uploads/2018/04/Reach-out-and-Read-600x450.jpg 450 600 Health Partnership Clinic https://hpcks.org/wp-content/uploads/2018/01/HPCLogo-v2.jpg Health Partnership Clinic2018-04-11 10:21:112018-04-11 10:21:11Guest Post: Are You a Brain Builder?